In psychology, meaning-making is the process of how people construe, understand, or make sense of life events, relationships, and the self. The term is widely used in constructivist approaches to counseling psychology and psychotherapy, especially during bereavement in which people attribute some sort of meaning to an experienced death or loss. The term is also used in educational psychology. In a broader sense, meaning-making is the main research object of semiotics, biosemiotics, and other fields. Social meaning-making is the main research object of social semiotics and related disciplines. —  Neil Postman and Charles Weingartner, "Meaning Making"
By the end of the 1970s, the term "meaning-making" was used with increasing frequency, especially in constructivist learning theory which posits that knowledge is something that is actively created by people as they experience new things and integrate new information with their current knowledge. Developmental psychologist Robert Kegan used the term "meaning-making" as a key concept in several widely cited texts on counseling and human development published in the late 1970s and early 1980s. Kegan wrote: "Human being is meaning making. For the human, what evolving amounts to is the evolving of systems of meaning; the business of organisms is to organize, as Perry (1970) says." The term "meaning-making" has also been used by psychologists influenced by George Kelly's personal construct theory. In a review of the meaning-making literature published in 2010, psychologist Crystal L. Park noted that there was a rich body of theory on meaning-making, but empirical research had not kept pace with theory development. In 2014, the first Congress on the Construction of Personal Meaning was held as part of the eighth Biennial International Meaning Conference convened by the International Network on Personal Meaning. The term meaning-making has been used in constructivist educational psychology to refer to the personal epistemology that people create to help them to make sense of the influences, relationships and sources of knowledge in their world. For example, psychologist Robert Kegan developed a theoretical framework that posited five levels of meaning-making; each level describes a more advanced way of understanding experiences, and people may come to master each level as they develop psychologically. Similarly, according to the transformative learning theory of sociologist and educator Jack Mezirow, adults interpret the meaning of their experiences through a lens of deeply held assumptions. When they experience something that contradicts or challenges their way of negotiating the world they have to go through the transformative process of evaluating their assumptions and processes of making meaning. Experiences that force individuals to engage in this critical self-reflection, or what Mezirow called "disorienting dilemmas", can be events such as loss, trauma, stressful life transitions or other interruptions. With the experience of a death, people often have to create new meaning of their loss. Interventions that promote meaning-making may be beneficial to grievers, as some interventions have been found to improve both mental health and physical health. However, according to some researchers, "for certain individuals from challenging backgrounds, efforts after meaning might not be psychologically healthy" when those efforts are "more similar to rumination than to resolution" of problems. Some researchers report that meaning-making can help people feel less distressed, and allows people to become more resilient in the face of loss. On the converse, failing to attribute meaning to death leads to more long-term distress for some people. There are various strategies people can utilize for meaning-making; many of them are summarized in the book Techniques of Grief Therapy. One study developed a "Meaning of Loss Codebook" which clusters common meaning-making strategies into 30 categories. Amongst these meaning-making strategies, the most frequently used categories include: personal growth, family bonds, spirituality, valuing life, negative affect, impermanence, lifestyle changes, compassion, and release from suffering. Individuals using existing family bonds for meaning-making have a "change in outlook and/or behavior towards family members". With this meaning-making strategy, individuals create meaning of loss through their interactions with family members, and make more efforts to spend more time with them. When individuals use family to give meaning to loss, more meaning-making strategies emerge within the family system. A couple of strategies that family members use to help each other cope are discussing the legacy of the deceased, and talking to non-family members about the loss. When family members are able to openly express their attitudes and beliefs, it can lead to a better well-being and less disagreement in the family. Meaning-making with one's family also increases marital satisfaction by reducing family tension, especially if the deceased was another family member. Meaning-making through spirituality and religiosity is significant because it helps individuals cope with their loss, as well as develop their own spiritual or religious beliefs. Spirituality and religiosity helps grievers think about a transcendental reality, share their worldview, and feel a sense of belonging to communities with shared beliefs. When individuals with a divinity worldview make meaning through spirituality and religiosity, those "individuals perceive the divine to be involved in a major stressful life event" and use the divine to develop a meaning for the loss. There are three main ways in which a theistic individual may create meaning through religion: benevolent religious reappraisals, punishing God reappraisals, and reappraisals of God's power. Benevolent religious reappraisals cast God in a positive light and grievers may see the death as a part of God's plan. Punishing God reappraisals cast God in a dark light and grievers may blame God for the loss or feel punished by God. Reappraisals of God's power questions God's ability to intervene on the situation. All of these appraisals contribute to how the griever may create meaning of their loss. Another meaning-making strategy people use is to create meaning by valuing their own life. People who create meaning in this way may try to cherish the life they have, try to find their purpose, or change their lifestyles. Grievers can make meaning of death through philanthropic services such as charities, foundations, and organizations. Meaning-making through philanthropy can create financial support, social support, emotional support, and helps create positive results from the negative experience of the death. For example, one couple that lost a child described how they developed "Nora's Project" after their daughter with a disability died, in order to help provide wheelchairs for children with disabilities around the world. The mother said: "With Nora's Project, I am also healing. I am able to turn something that was horrific, the way she died, into something that will do good in the world". Like this mother, it is common for individuals to want to create or do something positive for others. Philanthropy helps people make meaning by continuously and altruistically honoring a life while simultaneously helping others going through a similar experience. ^ Ignelzi 2000, p. 5: "Meaning-making, the process of how individuals make sense of knowledge, experience, relationships, and the self, must be considered in designing college curricular environments supportive of learning and development." Gillies, Neimeyer & Milman 2014, p. 208: Through meaning-making, people are "retaining, reaffirming, revising, or replacing elements of their orienting system to develop more nuanced, complex and useful systems". ^ a b Thibault 2003, p. 41: "... the description of a community's communicative practices cannot adequately be accomplished within the confines of any single discipline in the human and social sciences. Such an enterprise is necessarily a transdisciplinary one, drawing on the insights of sociology, ethnology, linguistics, anthropology, social psychology, and so on, in order to develop a unified conceptual framework for talking about social meaning-making (Gumperz 1992)." 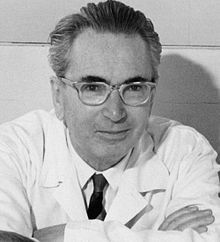 ^ A Google Scholar search for citations of Frankl's work shows that Man's Search for Meaning is cited by some of the most influential psychologists and psychotherapists of the 20th century; it is cited in Aaron T. Beck's Cognitive Therapy of Depression; Albert Ellis's New Guide to Rational Living; Richard S. Lazarus and Susan Folkman's Stress, Appraisal, and Coping; Carl Rogers's Freedom to Learn; and thousands of other texts. ^ As can be seen in a Google Ngram of the term "meaning-making" in Google Ngram Viewer, usage of the term "meaning-making" in the Google Books database jumps just before 1980 and increases thereafter. ^ "First Congress on the Construction of Personal Meaning: Exploring What Makes Life Worth Living". meaning.ca. Archived from the original on 2016-04-07. Retrieved 2016-04-07. ^ a b Mackay & Bluck 2010, p. 720: "In their study of bereaved parents, Murphy et al. (2003) showed that finding meaning was related to lower mental distress, higher marital satisfaction, and better physical health. Similar links to better adjustment have been found in other samples of bereaved parents (Keesee et al., 2008) and adults who lost loved ones through violent means (i.e., accidents, homicide, and suicide; Currier, Holland, & Neimeyer, 2006)." Attig, Thomas (1996). How we grieve: relearning the world. New York: Oxford University Press. ISBN 978-0195074550. OCLC 33048470. Basseches, Michael (January 1997). "A developmental perspective on psychotherapy process, psychotherapists' expertise, and 'meaning-making conflict' within therapeutic relationships: a two-part series". Journal of Adult Development. 4 (1–2): 17–33. doi:10.1007/BF02511846. Baxter Magolda, Marcia B.; King, Patricia M. (2012). Assessing meaning making and self-authorship: theory, research, and application. ASHE higher education report. 38. Hoboken, NJ: Jossey-Bass/Wiley. ISBN 978-1118500545. OCLC 801926567. Black, Helen K.; Santanello, Holly R.; Rubinstein, Robert L. (September 2014). "A pragmatic belief system in family meaning-making after death". Death Studies. 38 (8): 522–530. doi:10.1080/07481187.2013.879754. PMID 24738858. Calhoun, Lawrence G.; Tedeschi, Richard G., eds. (2006). Handbook of posttraumatic growth: research and practice. Mahwah, NJ: Lawrence Erlbaum Associates. ISBN 978-0805851960. OCLC 62078285. Carlsen, Mary Baird (1988). Meaning-making: therapeutic processes in adult development. New York: W.W. Norton & Co. ISBN 978-0393700497. OCLC 17108819. Davis, Christopher G.; Harasymchuk, Cheryl; Wohl, Michael J. A. (April 2012). "Finding meaning in a traumatic loss: a families approach". Journal of Traumatic Stress. 25 (2): 142–149. doi:10.1002/jts.21675. PMID 22522727. Davis, Christopher G.; Nolen-Hoeksema, Susan; Larson, Judith (August 1998). "Making sense of loss and benefiting from the experience: two construals of meaning". Journal of Personality and Social Psychology. 75 (2): 561–574. doi:10.1037/0022-3514.75.2.561. PMID 9731325. Doka, Kenneth J.; Davidson, Joyce, eds. (1998). Living with grief: who we are, how we grieve. Washington, DC: Hospice Foundation of America. ISBN 978-0876308981. OCLC 47667465. Dorpat, Theodore L.; Miller, Michael L. (1992). Clinical interaction and the analysis of meaning: a new psychoanalytic theory. Hillsdale, NJ: Analytic Press. ISBN 978-0881631463. OCLC 26095722. Drath, Wilfred H.; Palus, Charles J. (1994). Making common sense: leadership as meaning-making in a community of practice. Greensboro, NC: Center for Creative Leadership. ISBN 978-0912879970. OCLC 30518363. Dyregrov, Kari Madeleine; Dieserud, Gudrun; Hjelmeland, Heidi Marie; Straiton, Melanie; Rasmussen, Mette Lyberg; Knizek, Birthe Loa; Leenaars, Antoon Adrian (September 2011). "Meaning-making through psychological autopsy interviews: the value of participating in qualitative research for those bereaved by suicide". Death Studies. 35 (8): 685–710. doi:10.1080/07481187.2011.553310. PMID 24501818. Epting, Franz R.; Neimeyer, Robert A., eds. (1984). Personal meanings of death: applications of personal construct theory to clinical practice. Series in death education, aging, and health care. Washington, DC: Hemisphere Pub. Corp. ISBN 978-0891163633. OCLC 9557799. Fantozzi, Victoria B. (June 2012). "Making meaning in student teaching". Action in Teacher Education. 34 (2): 146–158. doi:10.1080/01626620.2012.677738. Frankl, Viktor E. (1962) . Man's search for meaning: an introduction to logotherapy. Boston: Beacon Press. ISBN 978-0807014271. OCLC 68940601. Gillies, James; Neimeyer, Robert A.; Milman, Evgenia (April 2014). "The meaning of loss codebook: construction of a system for analyzing meanings made in bereavement". Death Studies. 38 (4): 207–216. doi:10.1080/07481187.2013.829367. PMID 24524583. Ignelzi, Michael (Summer 2000). "Meaning-making in the learning and teaching process". New Directions for Teaching and Learning. 2000 (82): 5–14. doi:10.1002/tl.8201. Kalayjian, Ani; Eugene, Dominique, eds. (2010). Mass trauma and emotional healing around the world: rituals and practices for resilience and meaning-making. Santa Barbara, CA: Praeger. ISBN 9780313375408. OCLC 422757301. Kegan, Robert (January 1980). "Making meaning: the constructive-developmental approach to persons and practice". The Personnel and Guidance Journal. 58 (5): 373–380. doi:10.1002/j.2164-4918.1980.tb00416.x. Kegan, Robert (1982). The evolving self: problem and process in human development. Cambridge, MA: Harvard University Press. ISBN 978-0674272309. OCLC 7672087. Kunnen, E. Saskia; Bosma, Harke A. (April 2000). "Development of meaning making: a dynamic systems approach". New Ideas in Psychology. 18 (1): 57–82. doi:10.1016/S0732-118X(99)00037-9. Mackay, Michael M.; Bluck, Susan (August 2010). "Meaning-making in memories: a comparison of memories of death-related and low point life experiences". Death Studies. 34 (8): 715–737. doi:10.1080/07481181003761708. PMID 24482847. Mackay, Nigel (June 2003). "Psychotherapy and the idea of meaning". Theory & Psychology. 13 (3): 359–386. doi:10.1177/0959354303013003004. Mezirow, Jack (2009). "An overview on transformative learning". In Illeris, Knud. Contemporary theories of learning: learning theorists—in their own words. London; New York: Routledge. pp. 90–105. ISBN 978-0415473439. OCLC 213446282. Medlock, Gordon (January 2016). "Seeking consensual understanding of personal meaning: reflections on the meaning summit at first Congress on the Construction of Personal Meaning". Journal of Constructivist Psychology. 30: 1–13. doi:10.1080/10720537.2015.1119079. Merriam, Sharan B.; Heuer, Barbara (July 1996). "Meaning‐making, adult learning and development: a model with implications for practice". International Journal of Lifelong Education. 15 (4): 243–255. doi:10.1080/0260137960150402. Mortimer, Eduardo Fleury; Scott, Philip H. (2003). Meaning making in secondary science classrooms. Maidenhead; Philadelphia: Open University Press. ISBN 978-0335212088. OCLC 53193913. Nash, Robert J.; Murray, Michele C. (2010). Helping college students find purpose: the campus guide to meaning-making. Jossey-Bass higher and adult education series. San Francisco: Jossey-Bass. ISBN 9780470408148. OCLC 428031779. Neimeyer, Robert A., ed. (2001). Meaning reconstruction and the experience of loss. Washington, DC: American Psychological Association. ISBN 978-1557987426. OCLC 44712952. Neimeyer, Robert A., ed. (2012). Techniques of grief therapy: creative practices for counseling the bereaved. Series in death, dying, and bereavement. New York: Routledge. ISBN 9780415807258. OCLC 752072377. Neimeyer, Robert A.; Raskin, Jonathan D., eds. (2000). Constructions of disorder: meaning-making frameworks for psychotherapy. Washington, DC: American Psychological Association. ISBN 978-1557986290. OCLC 42009389. Novak, Joseph D. (April 1993). "Human constructivism: a unification of psychological and epistemological phenomena in meaning making". International Journal of Personal Construct Psychology. 6 (2): 167–193. doi:10.1080/08936039308404338. Park, Crystal L. (March 2010). "Making sense of the meaning literature: an integrative review of meaning making and its effects on adjustment to stressful life events". Psychological Bulletin. 136 (2): 257–301. doi:10.1037/a0018301. PMID 20192563. Perry, William G. (1970). Forms of intellectual and ethical development in the college years: a scheme. New York: Holt, Rinehart and Winston. ISBN 978-0030813269. OCLC 76870. Postman, Neil; Weingartner, Charles (1969). "Meaning making". Teaching as a subversive activity. New York: Delacorte Press. pp. 82–97. OCLC 4259. Rehm, Marsha L. (1999). "Vocation as meaning making narrative: implications for vocational education". Journal of Vocational Education Research. 24 (3): 145–59. Rosen, Hugh; Kuehlwein, Kevin T., eds. (1996). Constructing realities: meaning-making perspectives for psychotherapists. Jossey-Bass social and behavioral science series. San Francisco: Jossey-Bass. ISBN 978-0787901950. OCLC 32969007. Rossetto, Kelly R. (September 2014). "Creating philanthropic foundations to deal with grief: case studies of bereaved parents". Death Studies. 38 (8): 531–537. doi:10.1080/07481187.2014.899652. PMID 24738725. Sales, Jessica M.; Merrill, Natalie A.; Fivush, Robyn (2013). "Does making meaning make it better? : narrative meaning making and well-being in at-risk African-American adolescent females". Memory. 21 (1): 97–110. doi:10.1080/09658211.2012.706614. PMC 3564999. PMID 22897108. Scott, Philip H.; Mortimer, Eduardo Fleury; Aguiar, Orlando G. (July 2006). "The tension between authoritative and dialogic discourse: a fundamental characteristic of meaning making interactions in high school science lessons". Science Education. 90 (4): 605–631. doi:10.1002/sce.20131. Steffen, Edith; Coyle, Adrian (August 2011). "Sense of presence experiences and meaning-making in bereavement: a qualitative analysis". Death Studies. 35 (7): 579–609. doi:10.1080/07481187.2011.584758. PMID 24501839. Stein, Catherine H.; Abraham, Kristen M.; Bonar, Erin E.; McAuliffe, Christine E.; Fogo, Wendy R.; Faigin, David A.; Raiya, Hisham Abu; Potokar, Danielle N. (March 2009). "Making meaning from personal loss: religious, benefit finding, and goal-oriented attributions". Journal of Loss and Trauma. 14 (2): 83–100. doi:10.1080/15325020802173819. Thibault, Paul J. (2003). "Contextualization and social meaning-making practices". In Eerdmans, Susan; Prevignano, Carlo; Thibault, Paul J. Language and interaction: discussions with John J. Gumperz. Amsterdam; Philadelphia: John Benjamins Publishing Company. pp. 41–62. ISBN 978-9027225948. OCLC 50280030. Way, Patsy (April 2013). "A practitioner's view of children making spiritual meanings in bereavement". Journal of Social Work in End-of-Life & Palliative Care. 9 (2–3): 144–157. doi:10.1080/15524256.2013.794032. PMID 23777231. Webster, Jeffrey Dean; Deng, Xiaolei Charlie (May 2015). "Paths from trauma to intrapersonal strength: worldview, posttraumatic growth, and wisdom". Journal of Loss and Trauma. 20 (3): 253–266. doi:10.1080/15325024.2014.932207. Wickman, Per-Olof (2006). Aesthetic experience in science education: learning and meaning-making as situated talk and action. Teaching and learning in science series. Mahwah, NJ: Lawrence Erlbaum Associates. ISBN 978-0805855036. OCLC 58563560. Barlow, Connie C. (1997). "Meaning-making". Green space, green time: the way of science. New York: Copernicus. pp. 223–296. doi:10.1007/978-1-4612-0673-6_6. ISBN 978-0387947945. OCLC 36917078. Bendiner-Viani, Gabrielle (2013). "The big world in the small: layered dynamics of meaning-making in the everyday". Environment and Planning D: Society and Space. 31 (4): 708–726. doi:10.1068/d17810. DeGrandpre, Richard J. (July 2000). "A science of meaning: can behaviorism bring meaning to psychological science?". American Psychologist. 55 (7): 721–739. doi:10.1037/0003-066X.55.7.721. Johnson, Mark (2007). "Art as an exemplar of meaning-making". The meaning of the body: aesthetics of human understanding. Chicago: University of Chicago Press. pp. 209–234. ISBN 9780226401928. OCLC 76967201. Lidar, Malena; Almqvist, Jonas; Östman, Leif (July 2009). "A pragmatist approach to meaning making in children's discussions about gravity and the shape of the earth". Science Education. 94 (4): 689–709. doi:10.1002/sce.20384. McCann, Eugene J. (August 2002). "The cultural politics of local economic development: meaning-making, place-making, and the urban policy process". Geoforum. 33 (3): 385–398. doi:10.1016/S0016-7185(02)00007-6. Pfenninger, David T.; Klion, Reid E. (July 1994). "Fitting the world to constructs: the role of activity in meaning making". Journal of Constructivist Psychology. 7 (3): 151–161. doi:10.1080/10720539408405078. Waters, Theodore E. A.; Shallcross, John F.; Fivush, Robyn (2013). "The many facets of meaning making: comparing multiple measures of meaning making and their relations to psychological distress". Memory. 21 (1): 111–124. doi:10.1080/09658211.2012.705300. "Death and dying". American Psychological Association. Retrieved 12 December 2015.